Since arriving at Kern Valley State Prison seven years ago, Lam Vo has completed his G.E.D. But his education has gone further than book knowledge. He’s come to accept his responsibility for a heinous crime and to understand the importance of becoming a moral human being. There’s a back story. Vo was a student of mine. I had wondered what happened to him after he didn’t return to school for the 11th grade. Perusing a newspaper article, I read that Vo had pleaded no contest to attempted homicide and faced 25 years in prison. I wrote to him, hoping he wasn’t the same Lam Vo. Sadly, he informed me he was. Over the years, we’ve stayed in touch — I talk to him weekly — and as an Oakland Voices correspondent in 2012, I wrote several articles about him. 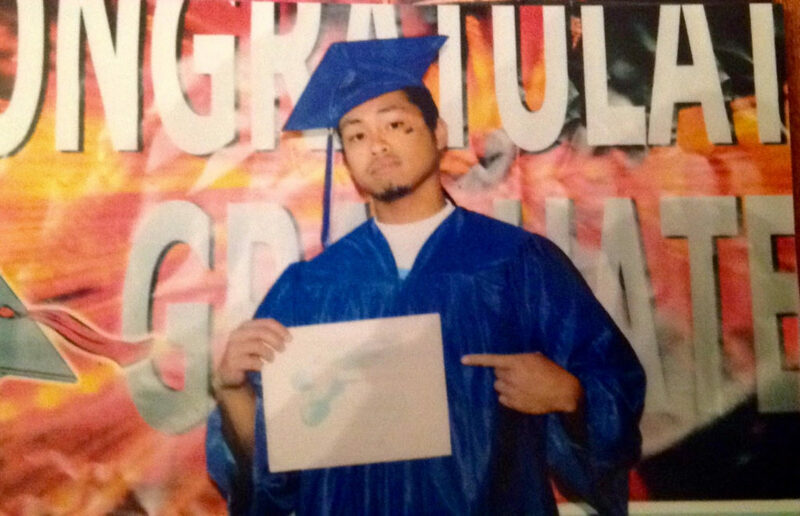 When he arrived at Kern Valley State Prison, he had completed the 10th grade. During what would have been his 11th grade year, he became involved in gang activity and did not return to school. In November 2009 he was charged with attempted homicide. He had shot a girl in the head. At Kern Valley, he completed his G.E.D. in June 2015 and is now planning to take classes at Coastline College. The “School to Prison Pipeline” theory posits that schools are complicit in creating an environment in which certain students, particularly male students of color from poor or working class families, will almost certainly wind up in prison or some other form of detention. One of the steps is the completion of an Insight Questionnaire, which requires the participant to engage in an in-depth, soul searching or moral inventory. Vo mailed me a six-page, single-spaced handwritten copy of the questions and his responses. “Digging deep, I know the factors to the crime was fueled by doubt, worry, pride and loneliness,” he wrote about his state of mind after his girlfriend broke up with him and he was sent to juvenile detention for stealing a car and possessing a gun. He said he would like to contact his victim; she survived the gunshot wound, but has permanent brain damage. It is not possible to know what is truly in the heart and mind of any human being, but sometimes we can consider their words, look into their behaviors, and try to see who and what is really there. Vo seems sincere in taking responsibility and wanting to be a constructive member of his community, both in prison, and perhaps, someday, beyond. He is aware of the egregious harm he has done.